The Teatro burns. The Phantom wakes, without memory, in another's arms. The story she tells will separate him from those he loves and from himself. The Phantom's Opera is the third in the four-book series that follows the story of the Phantom of the Opera once he steps through the mirror to the other side. If only he could forget what he'd been and what he'd done. Who wouldn't want a second and a third chance to become someone else? An understandable desire for a man who has led a lonely and violent existence since his earliest memories, memories of pain and cruelty, of rejection and violence. But would the man who had lived as the Phantom of the Opera choose to erase his past if it meant loosing himself? For what are we if we are not our past, the sum and consequence of our accumulated memories? Would Erik Costanzi sacrifice the life he has worked hard to create in Rome with those who have come to love him to escape the Phantom? If we have no memory, if we are told a different story of who we are and where we've been, are we still who we were? Known only as Erik Constanzi to the patrons of the Teatro dell'Opera and immersed in the world of music, the Phantom of the Opera believes his demons have been laid to rest. When a fire breaks out in the Teatro, Erik is thought to have died in the blaze. But he wakes--without memory and without an identity--in the arms of his former lover, Lucianna Fiortino. Given a chance to keep Erik to herself, Lucianna invents a fairy-tale past for him. She has him take the name of her dead husband, not realizing that she thus condemns him to live a fiction that spirals further and further out of control. Has Erik lost everything, including himself? But Meg cannot accept that her husband has died. She knows that the stranger who watches in the wings and sends her roses must be Erik. But someone else watches over both Erik and Meg, waiting for another chance at revenge. Only the Phantom can save them. 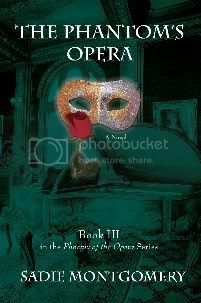 Book III in the Phoenix of the Opera series, The Phantom's Opera continues the story begun in The Phoenix of the Opera and Out of the Darkness: The Phantom's Journey. For those who can't get enough of the Phantom and want a story that takes a different approach, visit my friend Stef Cole's web page for The Phantom Returns. 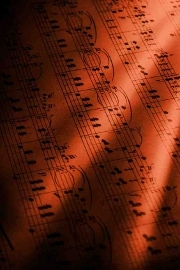 The Phantom has been given a new life, followed a path that takes him away from the Opera Populaire, from Christine's betrayal, from the closed world of the opera vaults. But what if he were to wake without a memory? What if someone wove about him a new story, a fairy tale, a web of lies in which he became entangled? A story that would separate him from himself and from those who love him?